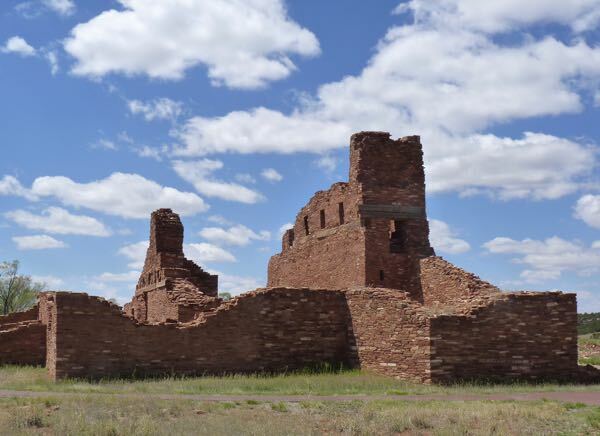 The Salinas Pueblo Missions National Monument preserves three nearby native pueblos in the Salinas Valley in central New Mexico. Several salt lakes to the east were mined for the salt traded by the early natives. It was a very dry area. 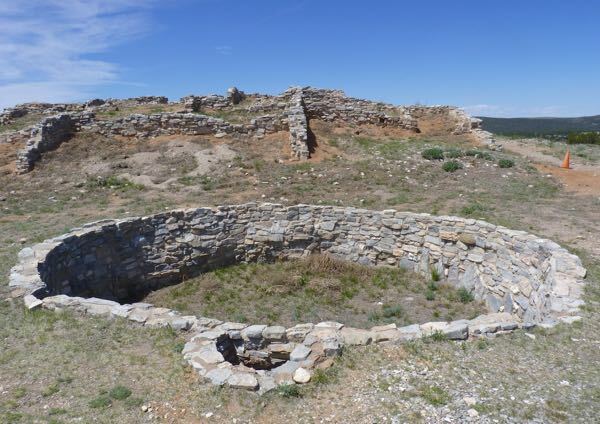 So, they survived by dry farming, hunting, gathering plants and nuts, and creating items to be traded with those passing through on the ancient trade route El Camino Real. Their baskets, blankets, pottery, and salt were prized possessions. 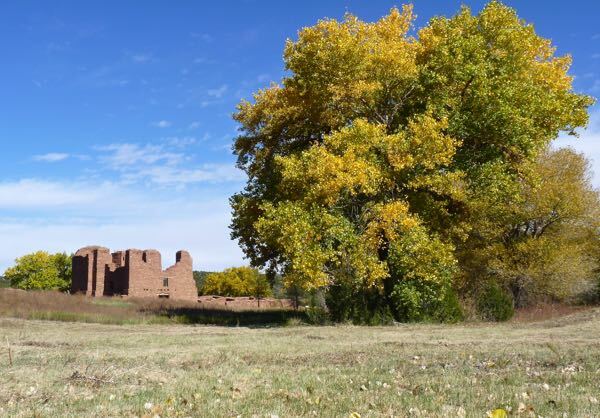 When the Spanish arrived in the late 1500s to colonize the area, they established missions in the native villages. Abó was the main mission, and priests travelled to the other two. Of course there was a clash of religions; but, some natives converted to Christianity. 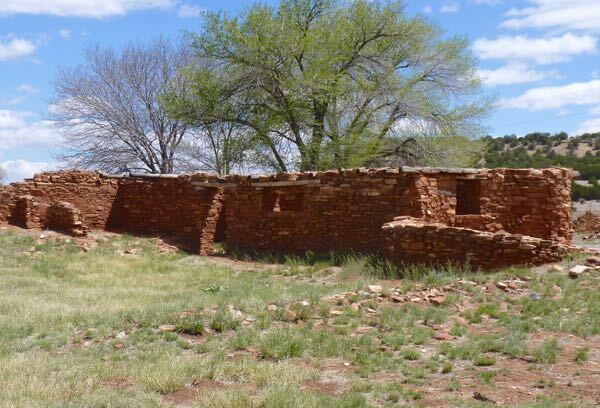 Quarai Pueblo also thrived by trading and farming. Here they had a fruit orchard. Unlike Gran Quivira, Abó and Quarai had good water sources. 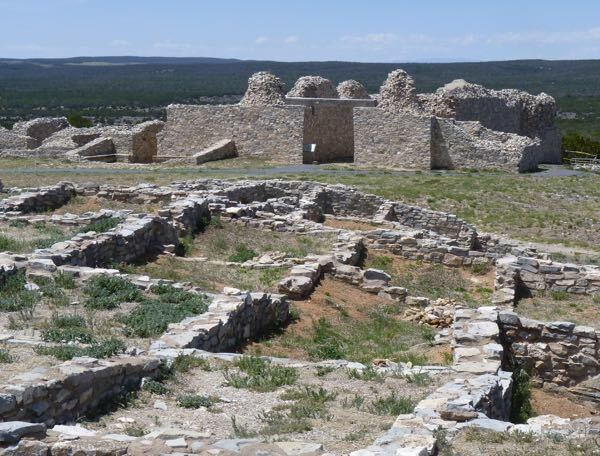 This pueblo was the headquarters for the church Inquisition in New Mexico. Records indicated the priests were fair handed and often chose to protect the natives, as they were considered to be innocents. The largest of the three, Gran Quivira at first resisted the Spanish. But, eventually learned to get along. A small church was built, and later a large cathedral was begun using native labor. However, it was never finished. 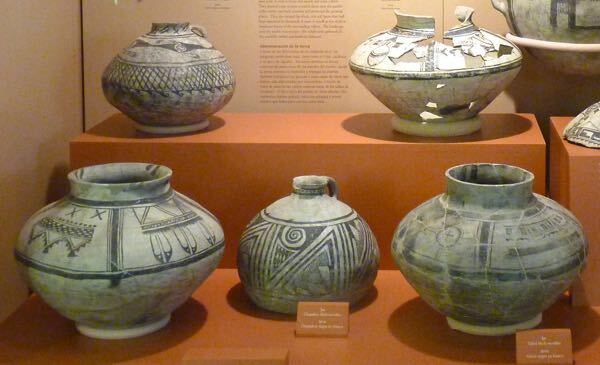 This pueblo was noted for its distinctive black-on-white pottery. 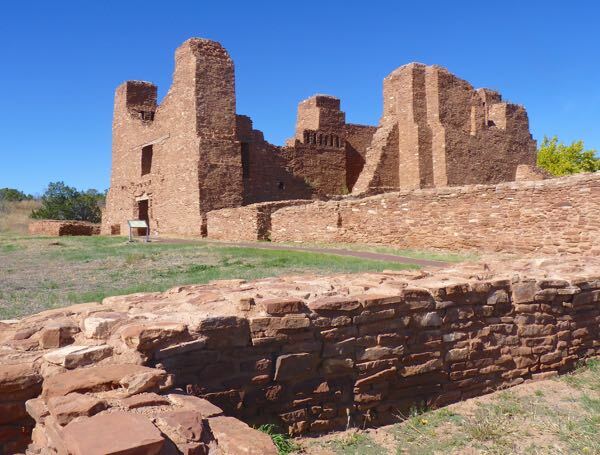 Eventually an extended drought causing famine, depleted resources, and raids from nomadic Apaches led the pueblos to be abandoned in the 1670s. It’s amazing that they survived in the harsh environment for so long.